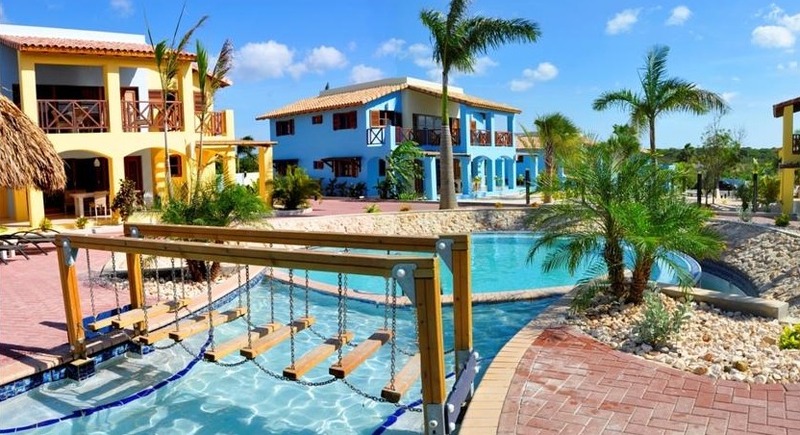 This resort appeals to families, with spacious apartments and a water park. Kunuku Aqua Resort features a large outdoor pool with waterslides, free Wi-Fi and free parking. Spacious apartments have a living room with a sofa bed. The well-equipped kitchen includes a fridge, microwave and coffee maker. The complex has a bar and a restaurant. There is also a small shop. You will find restaurants, shops and a diving school about six miles from the resort. Car rental is available and you can request an airport transfer for a surcharge. Children’s entertainment and babysitting services are available during high season. Fly into Curacao International Airport (CUR), Willemstad, Curacao. Kunuku Aqua Resort is 10 minutes from the airport. Visit Kunuku Aqua Resort’s website for more information.